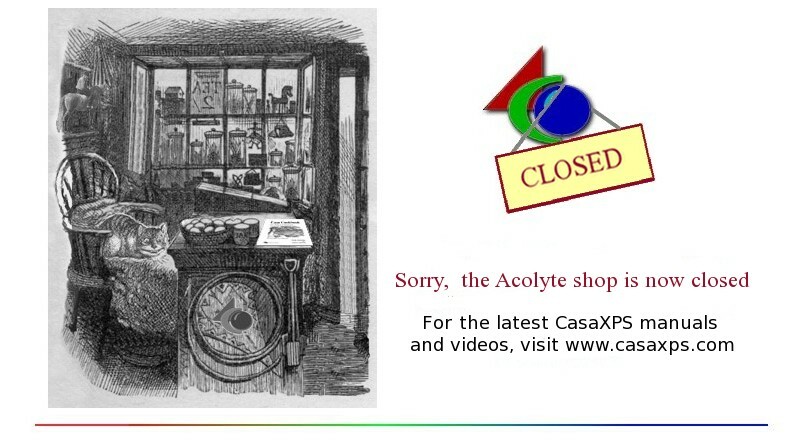 The Acolyte shop is now closed for on-line purchases, but the details of the old (first & second edition) Acolyte "Casa Cookbooks" and CasaXPS manuals are still displayed for reference. The latest Casa downloads, documentation and videos can be found along ith other useful information at the main Casa web site. If your interest is in Acobado books (historical novels) please email me. Acolyte Science, Kinderton Close, High Legh, Knutsford, Cheshire, WA16 6LZ U.K.